If good enough, how do young Africans come to the attention of Real Madrid or Manchester United? 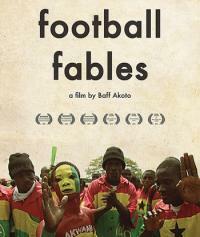 Football Fables lifts the lid off of the inner workings of Ghanaian football migration. The film unfolds through the eyes of Francis, a talented teenager on the brink of a dream transfer. His talent is undoubted, his desire immeasurable, but will that be enough to secure his future?